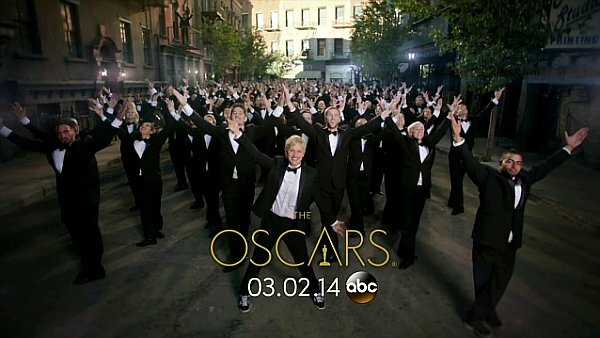 Oscars 2014 Reactions – Kinda Live! By some fluke of scheduling I actually managed to watch the live broadcast of the Oscars this afternoon (though I was multitasking at the time), so like last year I have written my thoughts on the big awards here as I saw them happen, before giving them some editing and posting them up. Yay for timeliness! Please enjoy. I can’t deny that Jared Leto is a talented actor, at least from what I’ve seen of his limited celluloid work in the likes of Fight Club and Requiem For a Dream. He gave a politically charged speech (meaning anyone playing a drinking game like this would have been off to a good start) that was also deeply personal. The first of a number of indications for the night that Dallas Buyers Club just might be worth seeing. A fairly expected win, because Baz Luhrmann. Or, should I say, because Catherine Martin (later referred to as simply “CM” by Cate Blanchett), who has worked with the imaginative Australian director for decades in prolific fashion. Evidently a very talented and hard-working woman. Can’t really comment given that I haven’t seen too much of the film, but clearly the gaunt look of the story’s two main characters is of huge importance to its emotional impact, so probably a fair winner. The charming steampunk story of a man and his robotic dog Mr Hublot has some impressive personnel behind it, including people who worked on Star Wars: The Clone Wars and 9 among other things. I haven’t seen it, but I didn’t think that the only nominee I had seen – the Frozen pre-cartoon Get a Horse – was quite Oscar material. Well my Top 10 Movies list of last year would suggest that I’m pretty happy with this one, but it’s not as if it wasn’t expected. The only realistic threat to its victory was the appearance of Hayao Miyazaki’s The Wind Rises on the list, but really this was a no-brainer. What an amazing movie. This was a big-time lock and an entirely justified one. Regardless of the other stuff in Gravity it is the sheer splendour of the visual effects that dominates the experience, in the best way possible. Very nice. I heard the name Helium bandied about a bit in the lead-up to the Oscars and its art direction looks quite pretty indeed! I know next to nothing about the film, though, as per usual. See above, again. Although, that woman lived to be 110 years old? What a trooper. “That will never happen”, eh? Man, some of these stories of idea to Oscar are just crazy. And that voice from the woman in the doco! Wow! The short reel they put together for The Great Beauty‘s nomination looked so good I had to immediately look it up on Wikipedia, a couple of seconds before it won. This Italian-made introspective piece just seems that appealing. Another deserved Academy Award for Gravity. I distinctly remembering being blown back in my seat by the sound wall when that first impact happens in the movie. Also, “We’re over the moon.” Nice pun. Pretty much see above. Sound is so important to making Gravity work. As Christoph Waltz mentioned, three of the nominees in this category were first-timers, which is pretty impressive. And though I still haven’t seen any of the five films nominated, The young Lupita Nyong’o is from what I hear a worthy winner. From what I understand it was realistically between her and Jennifer Lawrence, who hardly needed to win back-to-back Oscars. Honestly, Who else was going to win this? Alfonso Cuaron, people. Him and his team are phenomenal at making shots that shouldn’t work go off without a hitch. Bravo. Good on Bill Murray for throwing in the Harold Ramis reference just before announcing the winner. I’m sounding (looking?) like a broken record here at this point, surely. Gravity is pretty, and special, and creative, and impeccably edited. A particularly awkward musical cue at the end of that acceptance speech. A pretty cool presentation. Pink is a damn talented performer – pretty much everyone knows that – and she did an admirable job with one of the most covered songs of all time, Somewhere Over the Rainbow. Kept things respectful to the source material for the most part. Nowhere near as good as the James Bond tribute from last year, but still nice. I wouldn’t have been surprised if Gravity won this as well, but it was someone else’s turn. The Great Gatsby oozed style from every teaser and poster and trailer and scene. More kudos to Catherine Martin and her team. Geez, such a heavy year for prominent deaths in the film industry. R.I.P. Gandolfini, Walker, O’Toole, Griffiths, Ebert, Temple, Ramis, Seymour Hoffman and everyone else who passed on in the last twelve months. Bette Midler was a good choice to follow up Streisand and she owned the stage. Any number of worthy films could have won here, but Gravity took it out because why not? Steven Price’s score was as varied and effective as any out there, and needed to be given how important the dialogue-less scenes in Gravity are. The relatively young Mr Price has a big future, no doubt. This was one of my most anticipated Oscar moments this year, which isn’t normally the case, but the Golden Globe award for U2 in this category threw the race wide open after critics had given their early pick to Frozen‘s Let it Go. So, so happy that the latter won, because it’s one of the best Disney songs in ages. And the Lopezes who wrote it? Really cool acceptance speech from them. Into the Big Six for another year and, just like most other years, the part of the show when I realise just how bad I am at making sure I see the big nominated films. What can I say, though? 12 Years A Slave just looked so depressing. Yet it’s good to see such an allegedly unflinching script get a nod. A slightly left field pick, Spike Jonze’s work on the script for Her is by all accounts really good (he also directed the film, of course). Out of all the major nominees I have yet to see from the 2014 list, Her is currently the one I want to track down first. And so the popular critical tip that the Academy would reward Cuaron’s exceptional craftsmanship (without giving his film the biggest award of the night) came true. The Prisoner of Azkaban and Children of Men director lampshaded how long it has taken for him to be Oscar-recognised in a rather witty speech. Noice. A strong category, including the walking Oscar meme Meryl Streep, but Blanchett was one of the most surefire winners of the entire night and that can only mean she really deserved it. Nice speech too. Woo, Aussie pride! Her guide guy looked so clueless, which was amusing. A double for Dallas Buyers Club in the male acting stakes, then. McConaughey’s unlikely, phoenix-like rise in the eyes of the moviegoing public of late mirrors that of Ben Affleck a couple of years ago. If you had told me back in 2004 that he would win an Oscar for Best Actor I would have laughed, but gone are the days of constant shirtlessness. This guy is a damn good actor. And that speech? Looked like a monologue and ran as smoothly as one. Bravo. The most uncertain race of any I’ve seen in this category in several years was won by 12 Years a Slave in the end. Guess I’ve got to go see it now. I’ve got to give kudos to Ellen DeGeneres for her light-hearted and hyperactive hosting job this year. Though she had a few jibes to throw out, the most memorable thing about her gig aside from her ability to get laughs without really victimising anyone, was her commitment to physical jokes. That moment where she got like a dozen big names to pile on top of Meryl Streep for an impromptu mega-selfie was an example of just the kind of thing that has made her so many fans over the years. Ditto the real-time pizza delivery bit. The up-to-date relevance of her take on the hosting role worked well to offset the very traditionally dreary picks for the major nominees. Aside from DeGeneres, one of the highlights was unsurprisingly Idina Menzel’s ridiculously powerful vocal performance of Let it Go, complete with extra orchestral flourishes in the backing. Pharrell’s energetic Happy stage was worth watching too. Speech of the night goes to Matthew McConaughey in my book. As for individual presenters, Kevin Spacey and Jamie Foxx were my personal favourites but pretty much everyone was up for having a bit of fun, which is always great to see. Award season is officially over for another year. Good stuff. Now can we please get The LEGO Movie in Australia, already?